In a cold climate, Heater Cap is a must! In the winter ice and snow builds up in gutters and begins a cycle of freezing and thawing known as ice- damming. 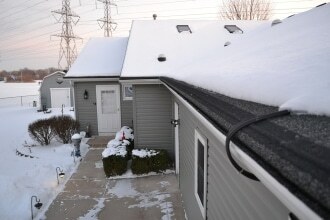 The Heater Cap system is designed to prevent ice and snow from forming inside of gutters. Heater Cap is comprised of an encapsulated heat cable that is placed inside of our patented metal disbursement plate and then hard wired into the home. The Heater Cap System gently warms the gutter protection, gutters and downspouts. Keeping snow and ice out of the gutters is as easy as flipping a switch. If you have the Gutter Cap or Gutter Roof gutter protection systems, then the Heater Cap is installed by placing the heat wire inside of our patented disbursement panel and then being secured on top of the gutter protection system. The disbursement panel is designed to blend in with all of our gutter protection products. The heat wire is also placed inside of the gutter and through the downspouts. If you do not have any gutter protection on your gutters and do not have leaves or debris getting in your gutters, then the heat wire is placed in the disbursement panel and secured with brackets inside of the gutter. The heavy-duty heat cable is then hard-wired into the circuit breaker. A switch is added to turn the unit on and off when needed. The installation of Heater Cap may be done on partial or whole house applications. Ice in the gutters and ice damming on the roof can cause expensive damage to your home. Heavy ice in gutters can cause the gutters to fall off. Ice in the gutters can pry up the first row of shingles and cause roof damage. and cause interior damage like mold and mildew. Ice damming can cause rain melt to leak behind the gutter and rot the wood beneath the soffit and fascia. Heater Cap helps to eliminate the build up of the ice and snow, preserving the life of your gutters and protecting against ice damming. By heating the Gutter Cap, gutters and downspouts Heater Cap provides a free-flowing path for ice melt to safely run off of your roof and away from your home. Ice dams are the ridges of ice that form at the edge of roofs which prevent melting snow from draining the way it should. The water that backs up behind the ice dams could leak into your home causing damage to areas such as ceilings, walls, insulation and floors. 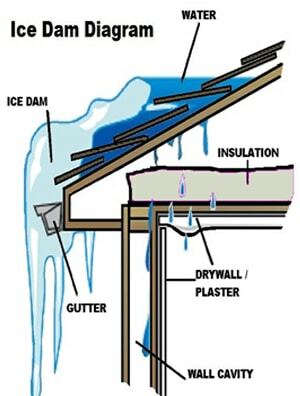 Most ice dams are formed on the lowest edges of the roofs as described above. However, we occasionally find them in other locations. 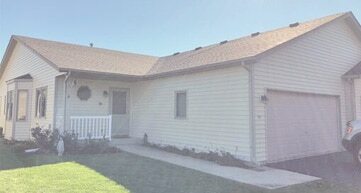 · You ought to remove snow from your roof, particularly in case you begin to notice icicles forming. 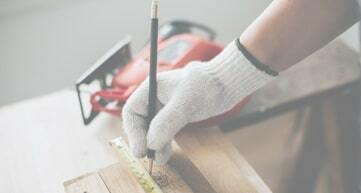 The cost of doing this task is many times cheaper compared to that of dealing with the damage that would otherwise occur. · Make sure that your roof systems have good ventilation systems for appropriate ice dam prevention. Proper ventilation allows for the movement of air via the roof’s the rafter and attic spaces. This will reduce the amount of warm air that builds up in these spaces thereby lowering the melting snow which results in ice dams. · Ensure that you seal and insulate penetrations present your ceiling. Plumbing vents, bath fans and recessed ceiling cans are usually the main culprits in allowing entry of warm air into the attic space. · Introduce heat tapes to the few lower feet of roofs in areas whereby ice dams have a frequent tendency of occurrence each and every year. It is best to undertake insulation and ventilation before going for this move due to the fact that no amount of heat tapes can make up for poor ice dam prevention in these categories. However, be warned that the heat cables could occasionally cause tremendous water backflow into your home in the case whereby they are not properly installed or used. · Try as hard as possible to minimize the use of recessed lighting cans in your ceiling below unheated spaces such as truss cavities or attics. Additionally, you should avoid turning your recessed lights on in the exterior soffits of the home. This is because recessed lights produce a huge amount of heat. They are also rarely insulated and sealed in the proper manner which results in heat escaping into spaces it shouldn’t be during winter. · Additionally, making replacements to heat casting spotlights with L.E.D. or florescent spotlights is great ice dam prevention technique. 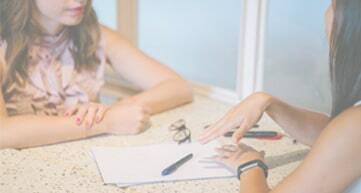 · Another easy technique is shutting off the heating returns if you have forced air systems. · Last and least, try to keep rooms with vaulted ceilings a little cooler than the rest of the home particularly when these spaces are rarely used. Preventing damage that results from ice dams is a pretty straight forward task. It is all about being very proactive. When you think you might have an urgent issue, it is time to call our ice Dam Company which is us. There are a few things you could do in order to prevent formation of ice dams on your home. Ice Dam Solution Heater Cap	Overall rating:	5	out of 5 based on 1	reviews.